Looking at the date of my last post I’m mortified at how tardy I have been lately. I have hundreds of photographs downloaded to work through and some are still in the camera – I really hope that I might get some free time off over Christmas to look through them and add to my gallery. 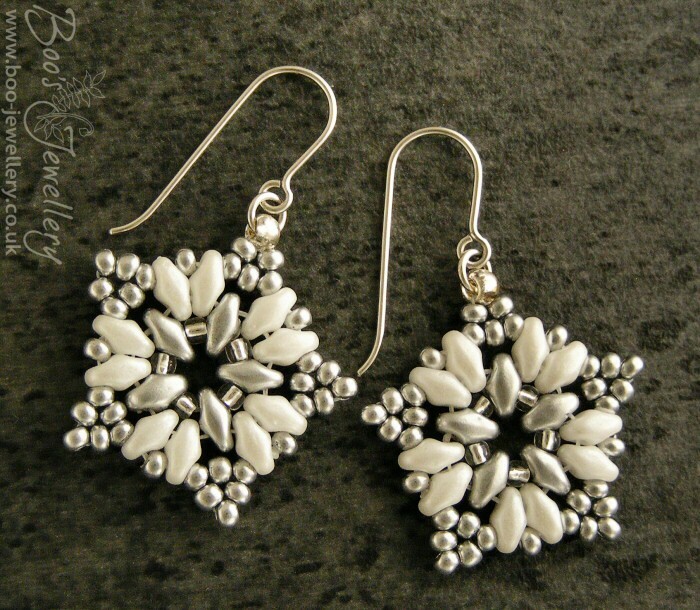 I haven’t exactly been idle though, I’ve recently been making some beaded snowflakes to thank my wonderful customers for their very valued support during 2017. 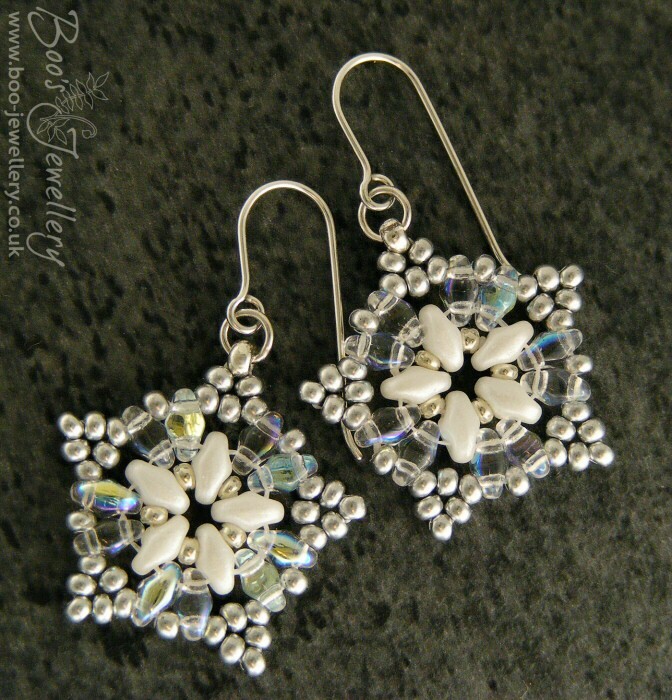 I will be giving away a hand crafted beaded snowflake decoration on all orders over £18. 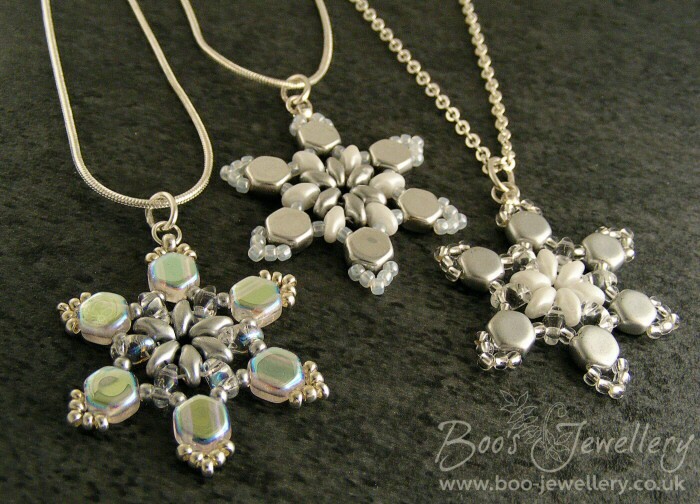 The snowflakes have been made by me using some of the fantastic new shapes of beads and each one – just like a real snowflake – is different. They come on a loop of silver ribbon to allow it to be hung as a festive decoration. 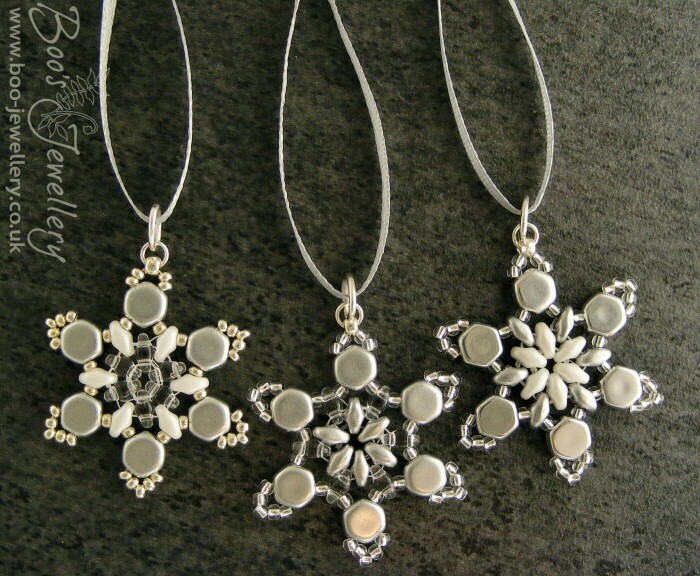 But if the ribbon is removed, they have an oval silver plated jump ring which will allow it to be worn as a festive pendant on your own chain. They have been stitched robustly with the best quality of [almost] unbreakable beading thread and will last you a lifetime. 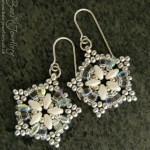 Beaded star earrings in icy colours and hanging on Sterling silver earwires. 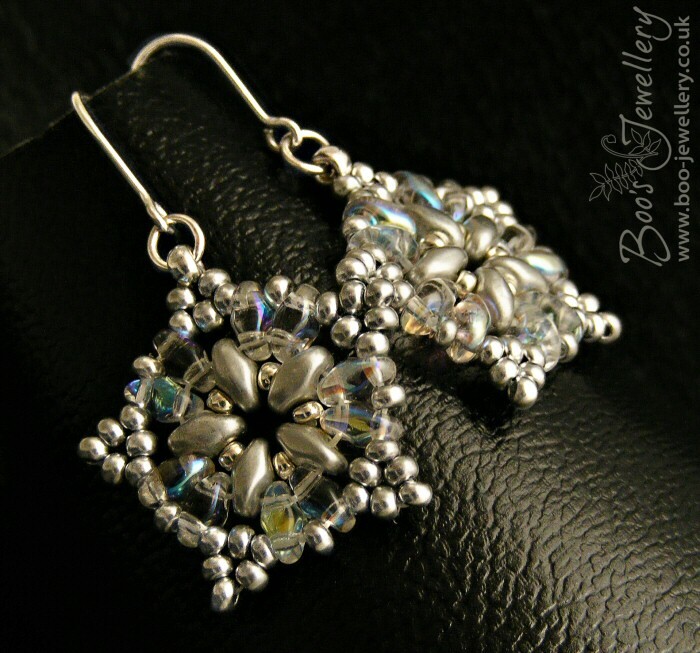 I also have a limited number of beaded star earrings, with Sterling silver earwires which I will give away with orders over £60. Each pair of earrings is also different. 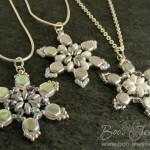 Both items will be sent out whilst stocks last or until the last Christmas postings. 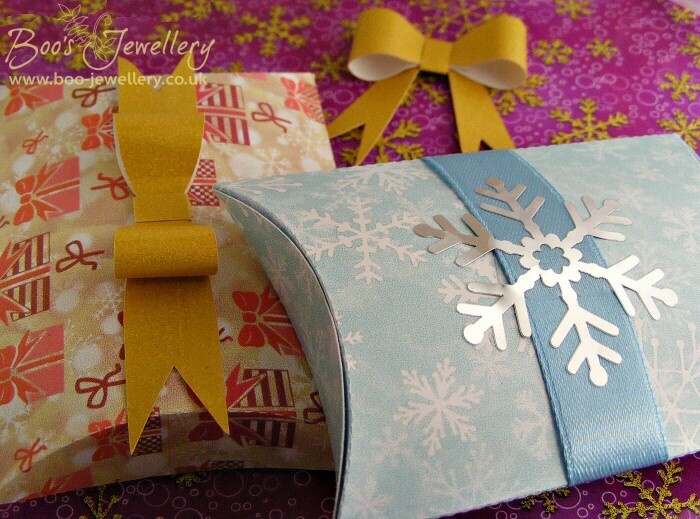 Whilst thinking about how to present the gifts to customers, I got myself totally engrossed in making some of my own digital papers for making boxes. I blogged some time ago about how I never even knew that there was such a beast as ‘digital paper’ – the concept was totally alien to me at the time. 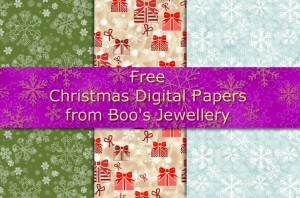 Free collection of 3 high resolution digital paper designs with a Christmas theme. But since then, I started tinkering with my own designs – in conjunction with more digital drawing for the work I do with my Silhouette cutting machine – the two disciplines are symbiotic skills. It reminded me lately of how I used to do seamless repeating background graphics for web pages – when they were rather more fashionable – and the papers use many of the same techniques I used some years ago. All of these designs are totally unique to me – each element has been digitally drawn and used to create seamless papers that you can print out for use on your own personal projects. More details and a download link below. I’ve been creating some new and entirely original digital papers on a Christmas theme and am making this small collection of 3 papers available for a FREE download. 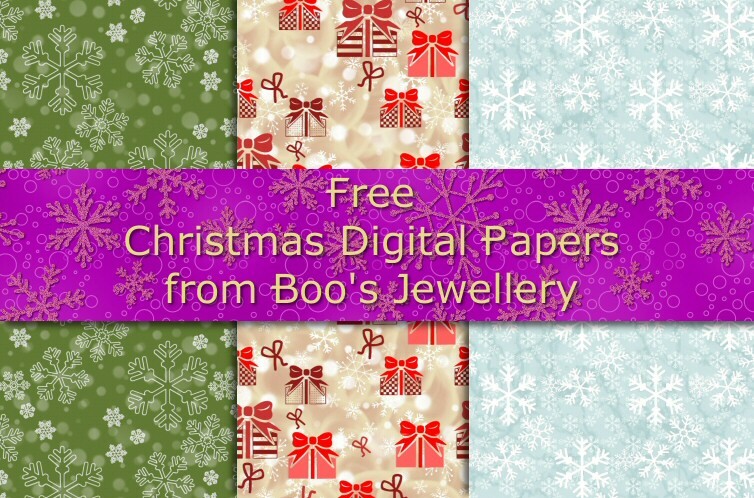 There are 3 high res JPEG images included of Christmas themed digital papers, that can be printed out on your own printer, up to 12″ (300mm) square at 300dpi – or even larger if required. The file is 10.7MB in size and comes as a zipped collection. Please familiarise yourself with the content of the Read Me file included which outlines your rights to use the files freely for personal use, but requires a paid licence for any form of commercial use that will result in financial gain. 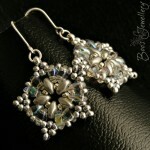 I hope you enjoy using the designs, I have more to follow and I’d love to see what you use them for. 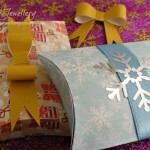 Pillow boxes cut from card printed with digital paper designs.